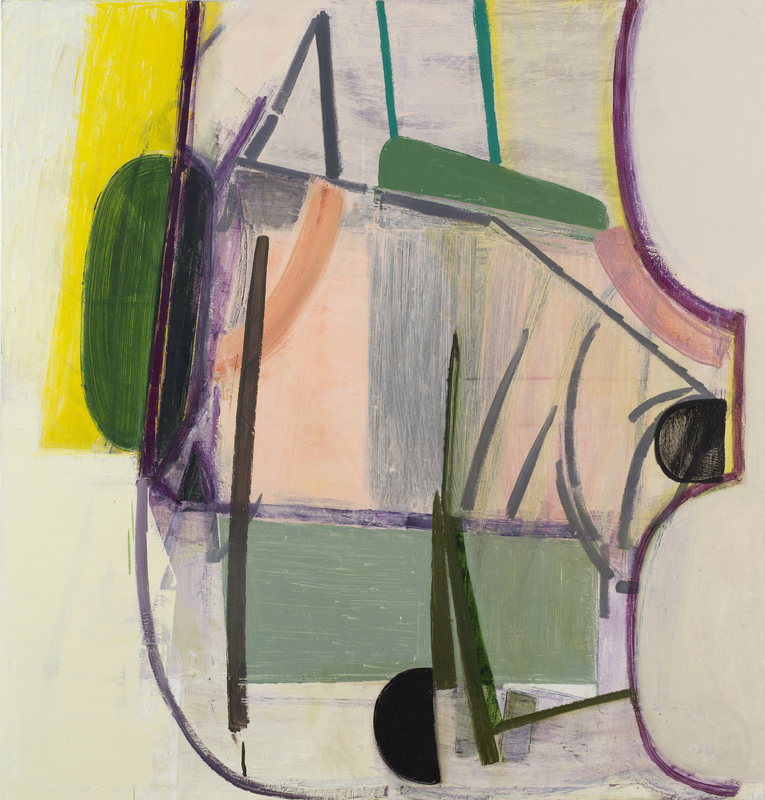 Amy Sillman, 'Mother', oil on canvas, 92 x 84in (2013-2014), courtesy of the artist. 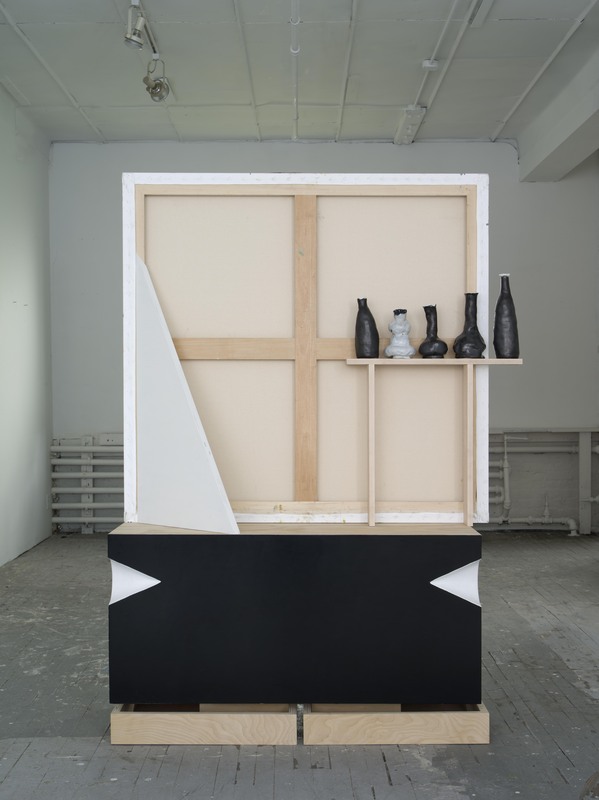 Amy Sillman and Pam Lins, 'Fells', plywood, fiberboard, glazed stoneware, and oil on canvas, 5 x 6 x 3ft (2013-2014), courtesy of the artist. 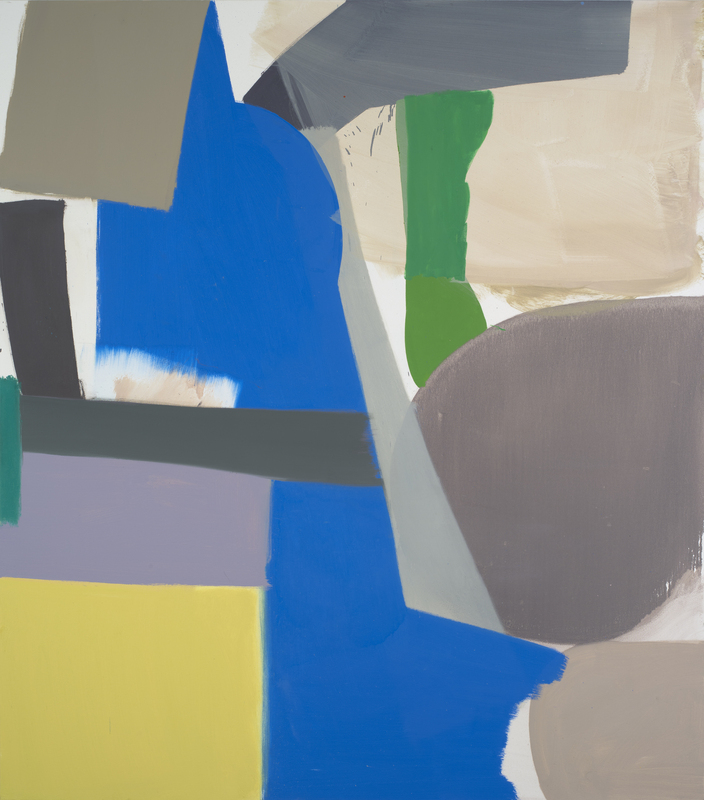 Amy Sillman, 'Fast Painting #1', oil on canvas, 75 x 66in (2013), courtesy of the artist. 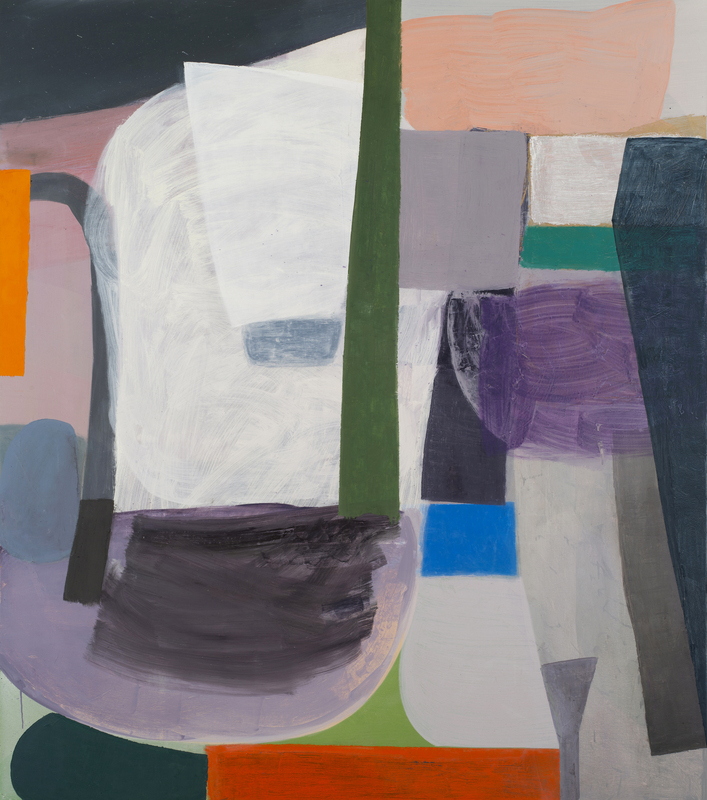 Amy Sillman, 'untitled', oil on canvas, 75 x 66in (2013), courtesy of the artist. 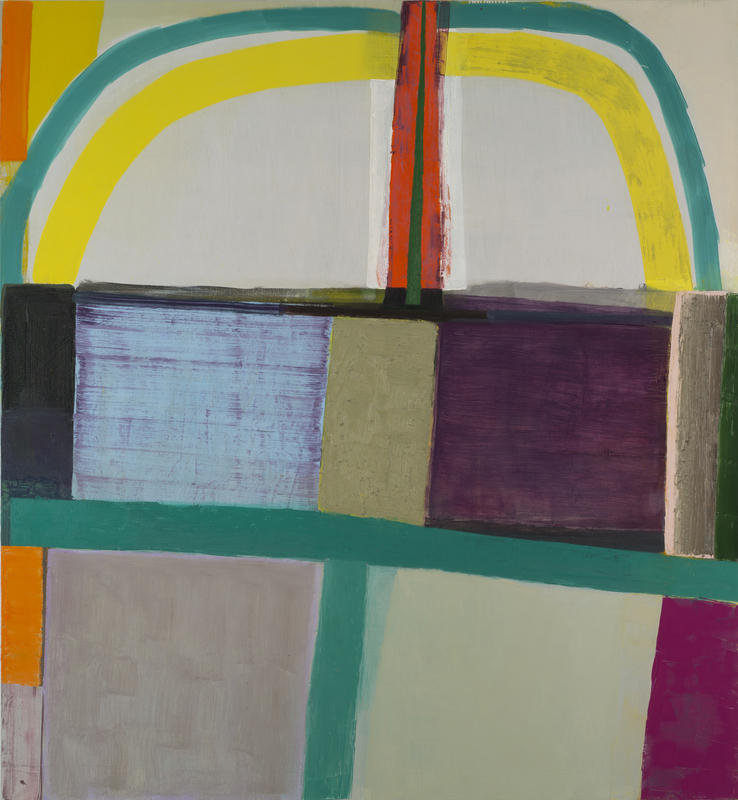 Amy Sillman, 'untitled', oil on canvas, 52 x 49in (2012), courtesy of the artist. 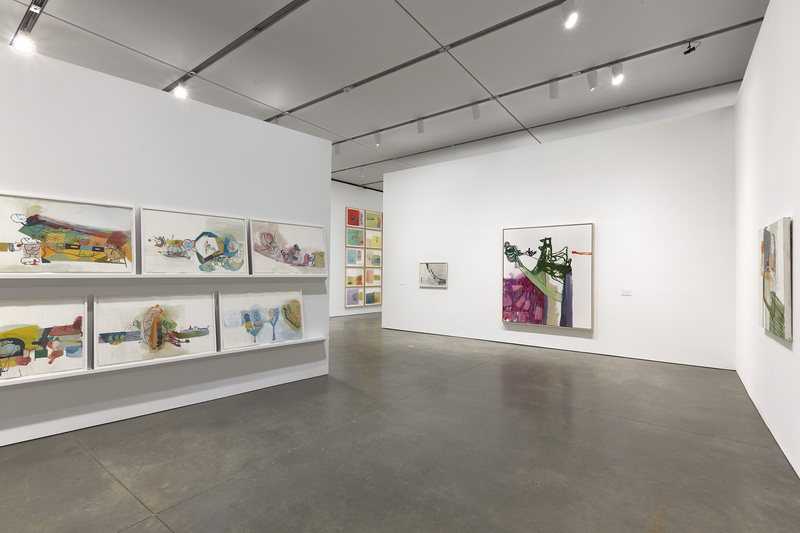 Installation view of 'Amy Sillman: one lump or two', Institute of Contemporary Art/Boston, 3 Oct, 2013 – 5 Jan, 2014; ©Charles Meyer Photography. The heritage of conceptualism and minimalism leaves a tendency to interpret a reduction in form as intellectually rigorous. If there is less for the eye to see, so it seems to follow that there’s more for the mind to read into. 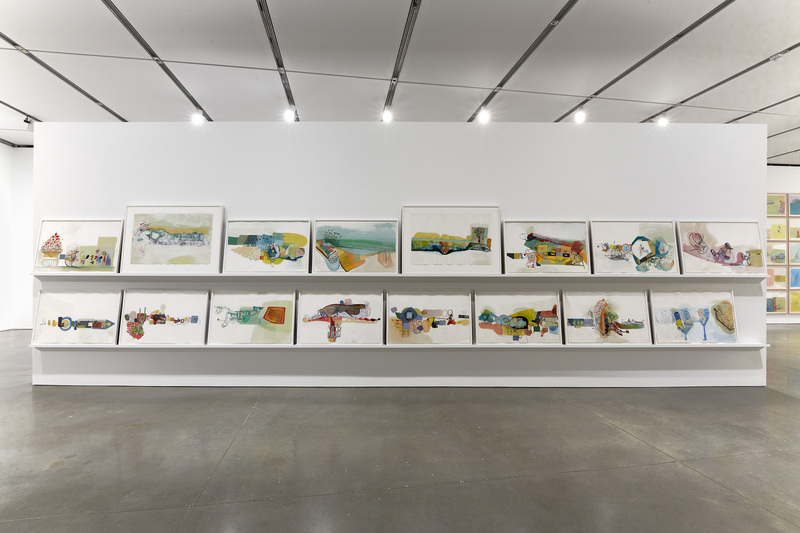 Amy Sillman swings the pendulum in the opposite direction; her work is formalist to the extent that we see the thought process visually manifested rather than suggested or signified. The proof is in the paint, as opposed to in the accompanying essay or press release. With a practice that grinds to dust a binary of figuration versus abstraction, the purity of abstract painting is corrupted in her work, where forms are blocks of colour floating in gentle encounters or sometimes clamouring for the eye’s attention before spluttering out into a hand, a foot, or a plumbing spigot. Her shapes and colours are gaily capricious; when they stumble and smear, they laugh it off and say ‘I meant to do that’. Sillman’s images together are like sentences that speak in the timbre of drawing but wear a light jacket of painting. In fact, she has described her practice as being really more like writing. As in writing, where words cluster into packs of roaming meaning, a Sillman painting is emboldened among its own kind. Her paintings are like the building momentum of jokes, always writing towards a punch line forever carried over into the next painting. 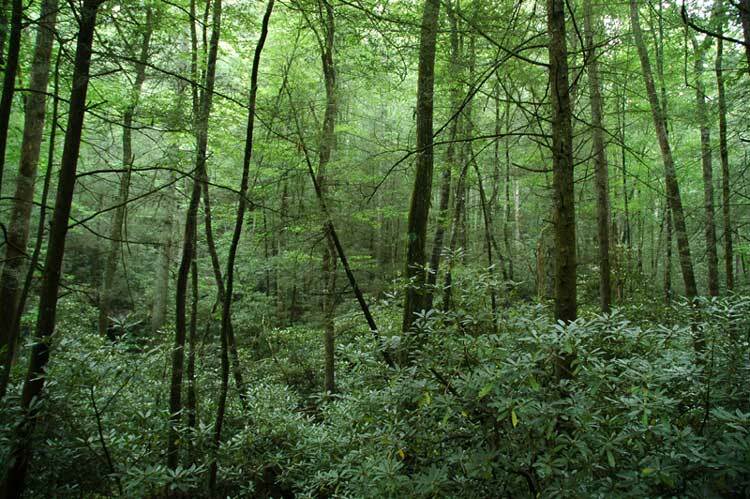 Alone, they can look lost, like a drawing cell from an animated film. In recent paintings such as ‘Fast painting #1’ (2013) and ‘untitled’ (2013) the quickly laid colours sit on the canvas with a liveliness like that of a runner bouncing on the balls of their feet, as if they might pick up and zoom off at any moment. Along with David Hockney, Amy Sillman is one of the most visible artists incorporating the iPhone/iPad drawing apps as a regular part of their practice. In ‘Draft of a Voice-Over for Split-Screen Video Loop’ (2012), made in collaboration with the poet Lisa Robertson, Sillman recites Robertson’s words over a six-minute film made entirely of drawings composed on her phone. It’s a breathless stream of images, and in between, several lines of the poem repeat: ‘Probably whatever the feminine might mean has to do with the intellectual relationship to change’, ‘she feels free to set out in any discourse’, ‘when women are exiled it feels normal’. 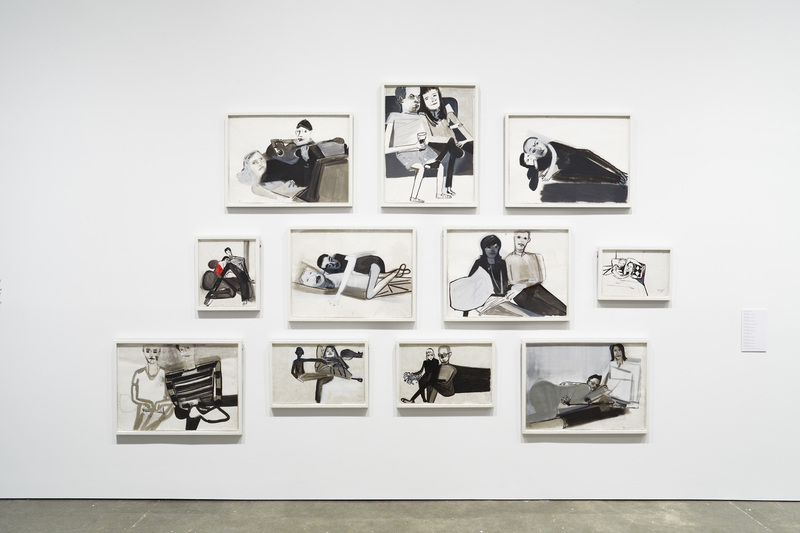 Sillman has noted the lingering cold war around identity politics in art, lamenting the reinforcement of power that fits hand in glove with an educational-complex supported canon. When one has no power, there certainly isn’t anything to be lost by pushing boundaries; if there’s no visibility, there’s no risk. Such are the conditions in which women artists have both thrived and withered. Hers is a painter’s progress, and in shifting her application of paint from the physical to the digital realm, the emphasis on the elasticity of images is revealed the very condition of her static paintings. Paradoxically, animation reveals the labour of painting in practice perhaps better than painting itself; it is the contemporary medium par excellence in which individual mark-making and time-based processes can still be intimately linked to their materials. Sillman’s engagement with a form, and a tool, associated at large with popular entertainment is not unprecedented; there is a longstanding relationship between animation and the avant-garde. The relationships between animation and her work cross the spectrum from the modernist experimentations of Oskar Fischinger to the under-esteemed inventiveness of cartoons. 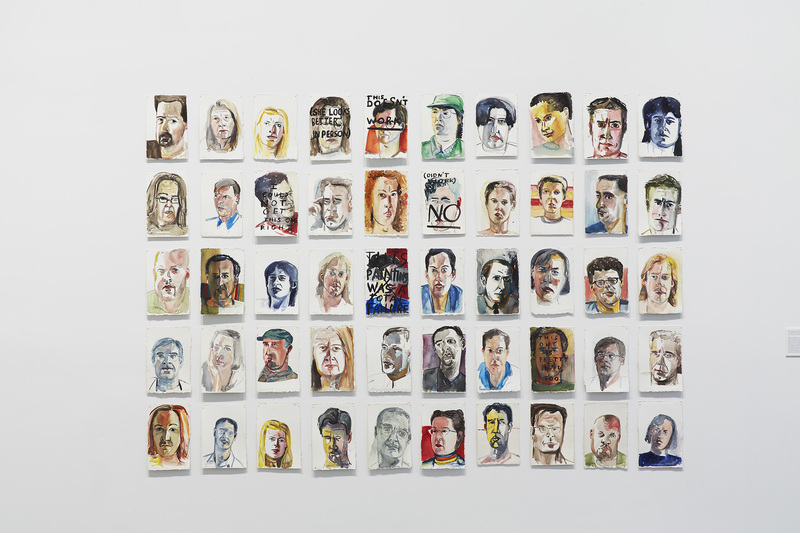 Often her work is called cartoonish, and just as often this observation isn’t elaborated upon. Contemporary art values its Deleuze and Guattari but not its Merry Melodies, a curious enigma when artists like Mike Kelley or Raymond Pettibon, who plumbed the depths of so called ‘low’ visual culture, are so revered as innovators. For instance, the colours of Warner Bros.’ situational comedy Looney Tunes, or the palette of the contemporary Adult Swim series Superjail!, are all accounted for in Sillman’s paintings. Her paintings recall the rust oranges of canyons and the flat sky blue that hangs over Wile E. Coyote and Roadrunner’s desert battlegrounds; their flatness however becomes streaked and abstracted, with a withered hand poking into the crook of another block of colour as in the painting ‘Shade’ (2010). As she has said in regards to the forms critics have read into her work, ‘I’ve been doing cartoons and stuff like that forever, it’s just that I didn’t think of putting them into my painting shows until 2009’. 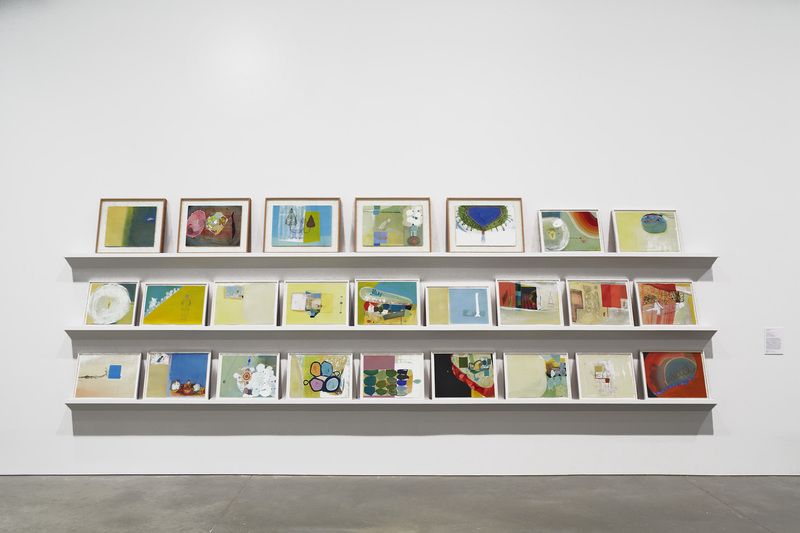 In her essay ‘notes on the diagram’ Sillman relates that ‘what I had thought were my two most distantly related activities, abstract paintings and jokes, were not only connected to each other but that my work may even be seen as constituted by the terrain between them’. The cartoon references are part and parcel of this terrain, and also indicative of her paintings’ transitivity: the manner in which they are networked with histories and languages outside of the body of painting. We can apply the theory of ‘painting beside itself’ to more than painting, the Chuck Jones’ 1953 short Duck Amuck for example, is truly a cartoon beside itself. A classic of the golden age of American animation and preserved in the National Film Registry, the film leads with Daffy Duck attempting to assert his right to exist in a conventional cartoon, demanding scenery, action, story, plot, logic, all of which the unseen hand of the animator dangles in front of him only to promptly withdraw. A guitar is painted into Daffy’s hands, only to be negated by incongruent machine gun chatter when Daffy tries to strum it. Here is a thing not performing as it’s expected. Daffy is put through the ringer by way of a series of surreal appearances and negations, manipulated past reason, and driven mad by a helpless insistence on direction and belief in a master narrative. In a classic surrealist sense, Amy Sillman is up to a similar project of mischief, manipulating familiar motifs of different painting traditions into Wonderland nonsense, posing the question of what it is we even want from a painting anyway. The space between jokes and abstraction is Duck Amuck’s space, just as it is Sillman’s. One could call it ‘Sillmanesque’. 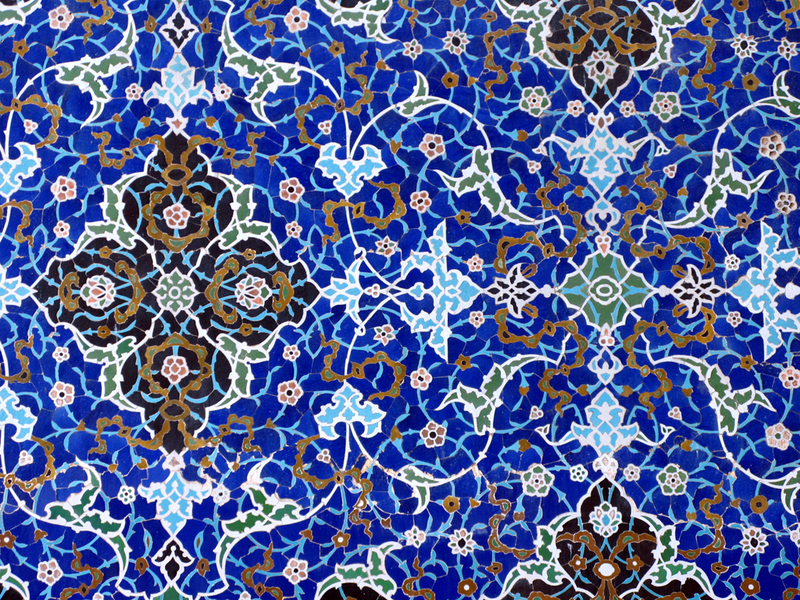 is a New York-based artist and writer, and an editor for Artforum.com. She studied Fine Art at the California Institute of the Arts before graduating with a BFA from the Rhode Island School of Design in 2011.
is an American painter who lives and works in Brooklyn, New York. She graduated from Manhattan's School of Visual Art in 1979. 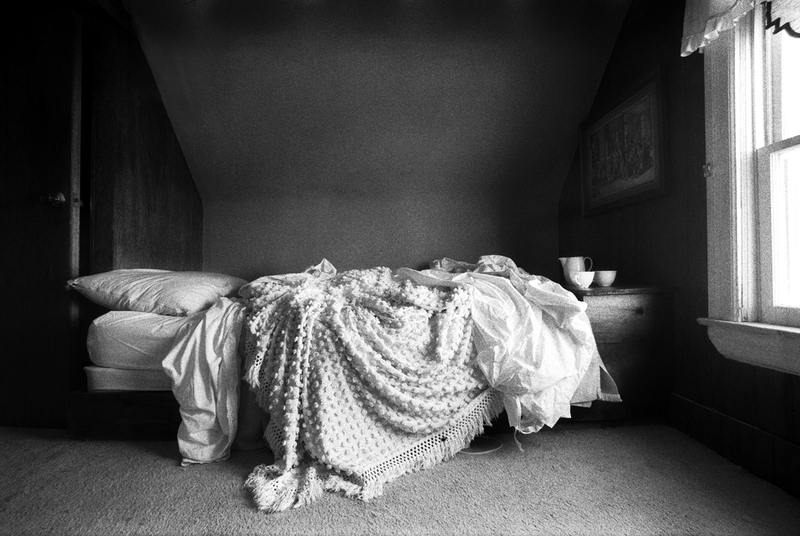 Her work in the upcoming 2014 Whitney Biennial will include a collaborative piece with the sculptor Pam Lins. This article is an online exclusive from March 2014.